Diamond Offshore posted a revenue gain for the first time in years, but it may not continue. 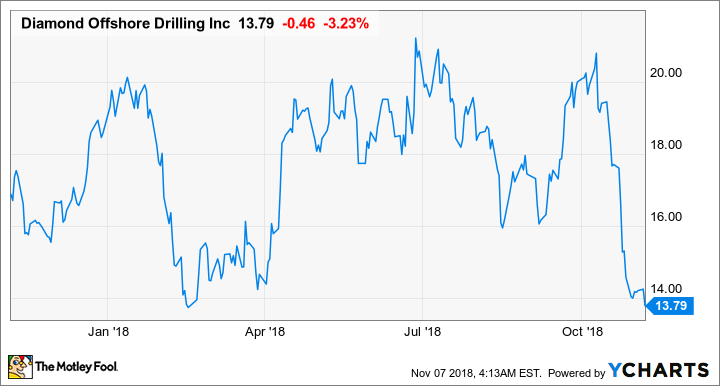 It has been a long time since Diamond Offshore Drilling (NYSE:DO) could say that revenue was on the upswing. While its third-quarter revenue increase didn't translate to a profitable quarter, it is the first sign that Diamond is catching the wave of improving conditions for rig companies. Looking at Diamond's fleet and upcoming contracts, though, this revenue increase may be a short-lived victory. You can read a full transcript of Diamond Offshore's conference call here.